4 Bedroom Detached House For Sale in Brackley for Offers in excess of £575,000. Taylors Estate Agents are delighted to present this spacious 4 bedroom, detached home with field views in the popular village of Evenley. In brief the home comprises entrance hall, lounge, dining room, kitchen, utility room, study, cloakroom on the ground floor and upstairs you will find the master bedroom with a dressing room and en-suite and a further 3 bedrooms with storage. The home also benefits from a double garage with off road parking. 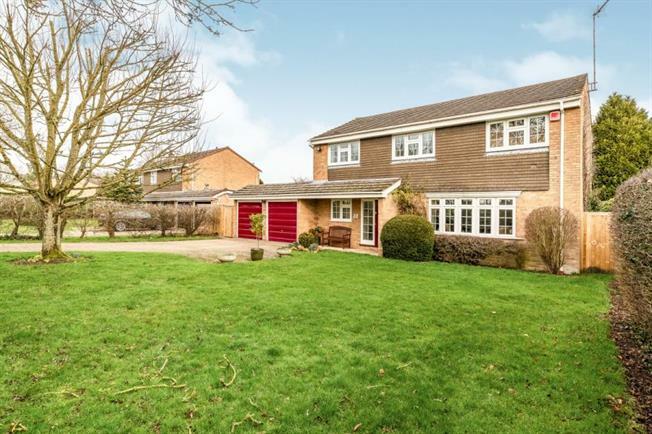 This beautiful home isn't far from the post office and the village pub and it also benefits from great access to the A43. To avoid disappointment, please call us as soon as possible on 01280 703594 to arrange a viewing.